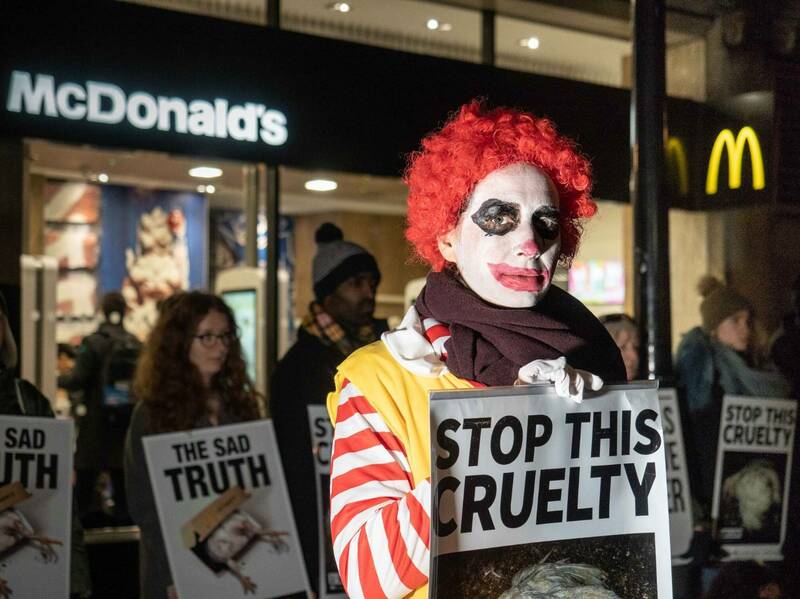 Animal welfare campaigners protested outside a London McDonald's last night to highlight animal cruelty and put pressure on the fast food giant to raise standards. The protestors, coordinated by The Humane League UK, are putting increasing pressure on McDonald's to 'implement a meaningful animal welfare policy for chickens in its supply chain'. The group held placards saying 'animals deserve better' and 'the sad truth' depicting images of chickens reared for meat. A digital ad van bearing the messages: "Happy Meals: the sad truth" and "Don't trust Ronald," is touring London as part of the campaign. In addition, Global advocacy group SumOfUs has joined the campaign, calling on its members to sign its petition asking McDonald's to commit to the Better Chicken Commitment. 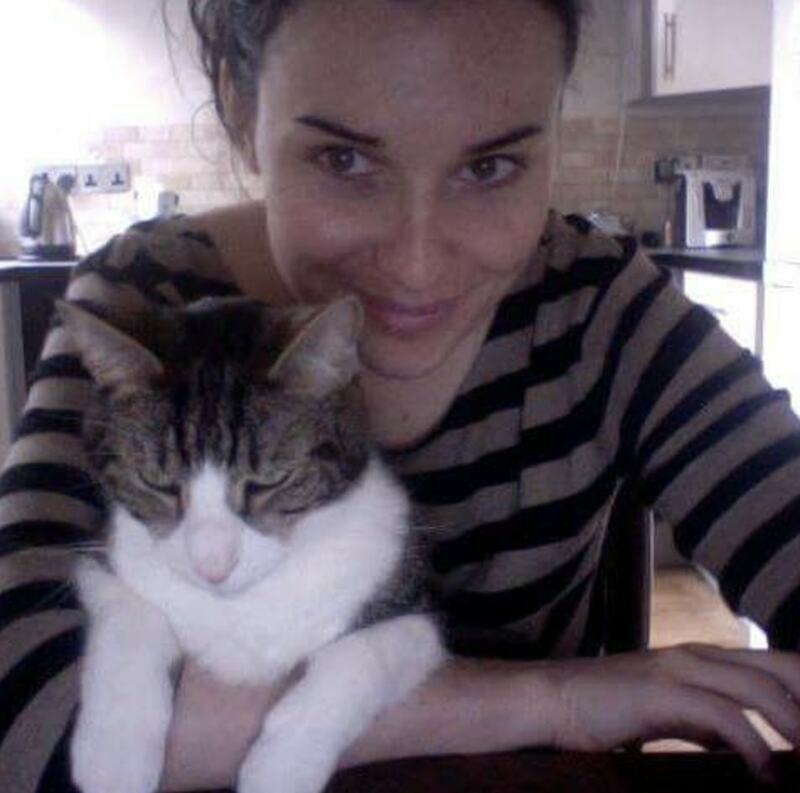 The petition, launched Tuesday 15th January, has already reached over 30,000 signatures. "McDonald's now sells more chicken than beef," Pru Elliott, The Humane League UK’s Head of Campaigns, said in a statement sent to Plant Based News. "But it still uses super-sized chickens who grow so fast their bodies can buckle under their own weight. It's grotesque and immensely cruel. "What we're asking for is quite simple: for McDonald's to commit to meaningful chicken welfare standards in line with the company's other animal welfare policies such as free-range eggs, organic milk, and RSPCA-Assured pork." "As the world's biggest fast-food company, McDonald's wields enormous power to transform animal welfare standards for millions of livestock," added Anna Liberadzki, Campaigner at SumOfUs. "At present, the company appears happy to lag behind other chains and put its chickens through hell, so long as it rakes in massive profits. Instead of airbrushing unhappy chickens out of their adverts, McDonald's would be far better investing to make its farms fit for the 21st century. It's not only its livestock but millions of customers who'd thank them for it." The ad van will move on to Birmingham next week, and Glasgow the following week, where protestors will gather on February 4. Plant Based News has contacted McDonald's for comment.